PAX’s Technology’s S80 device is an advanced countertop point-of-sale (POS) terminal which combines innovation, durability and performance. 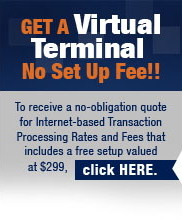 The PCI PTS 3.x approved S80 terminal is equipped with communication technologies such as ethernet and PSTN. An intuitive ATM-style interface and ergonomic keypad help make operation easier for both the merchant and their customers. The S80 terminal comes with built-in contactless and ARM11 processor which supports multiple payment and value-added applications. PAX’s Technology’s allows for updates automatically, so there’s no waiting for someone to come out and keep your terminal updated. The PAX S80 offers store and forward technology, allowing merchants to accept payments even when a connection isn’t available for authorization. With store and forward, merchants can enter payment information, save it to the terminal’s internal memory, and automatically process and forward it for authorization and settlement at a later time, when a connection becomes available. The PAX S80 offers a variety of reports to enable merchants to easily track and view information by date, by total, and more. Reports can be viewed directly on screen, or printed. This smart terminal is not limited to being a countertop type terminal. 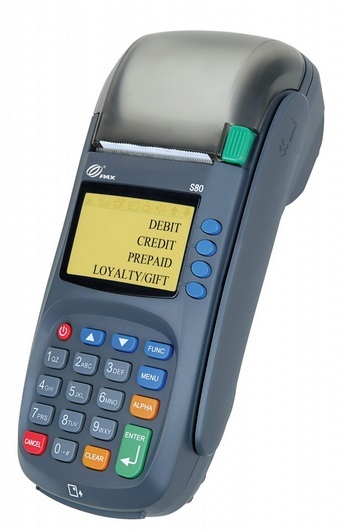 You can use their EMV® chip card features on a lot of POS Systems too. So while some POS Systems are trying to find solutions for EMV® chip cards and their PIN pads, PAX S80 already has it down pat.